Showing 1 - 15 of 34 articles tagged "The Wire"
The gimmick of a dollar changing ends of confusing viewers of the CBS All Access drama, says Tim Goodman. The worst episode of David Simon's beloved HBO drama series happens to be its most-watched. He'll play a cop on the proposed series about cops on the beat. 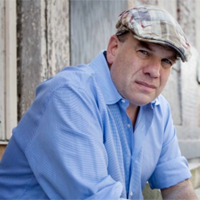 HBO and David Simon prevent a Wire actor's plans to put on “The Wire: A Stage Play"
Cathey, 59, played Frank Underwood’s favorite D.